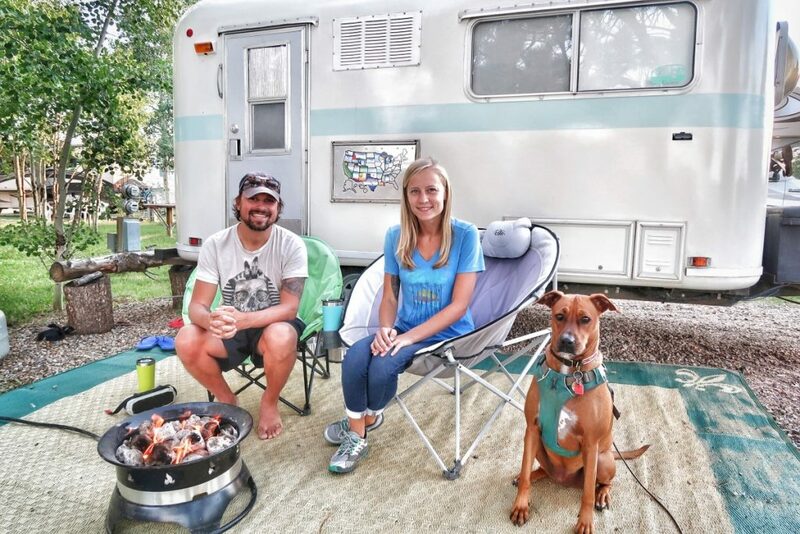 After three years of traveling and living in a 16′ vintage travel trailer, Kyle and Olivia have learned a lot about RV life, making money while traveling, and finding the best boondocking spots. They left their jobs and sold everything to pursue life on the road, make music, and seek adventure. Their mission is to live minimally and deliberately, by removing the clutter and fostering relations with the community and the natural world. Their current project is a renovation of a vintage Airstream Argosy. 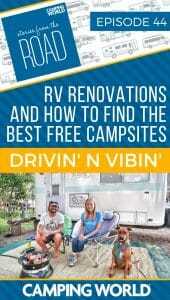 In this episode, Kyle and Olivia share their favorite tips on RV renovations and how to find the best free campsites. Kyle and Olivia wanted to do a renovation on a vintage trailer to save money and avoid going into debt. They admit that renovations do come with a steep learning curve, so you should proceed with caution and be fully committed. The best part of doing your own renovation is that you can learn as you go and customize exactly to your needs. They also say that you may come up against some mental blocks during a renovation, but finding your way through and learning new skills will be a great accomplishment. Don’t let fear hold you back from a renovation. You’ll build confidence along the way, just like with RV life. Follow their renovation progress on YouTube! Kyle and Olivia are pros at finding the best free campsites and they love being out in nature. They say that the public lands in the U.S. are beautiful and plentiful. Free campsites can range from Walmart parking lots to BLM land to state parks. Kyle and Olivia say that the key to finding the best free camping is in the research and knowing how long you can last without hookups. Keep in mind how much water you can store, how long your batteries or generator last, and how often you’ll need to dump your tanks. Here are their favorite resources for campsites. Be sure to read the reviews of the campsites and research if your rig will fit at the location. Kyle and Olivia have tons of content on finding free places to camp here on their blog.